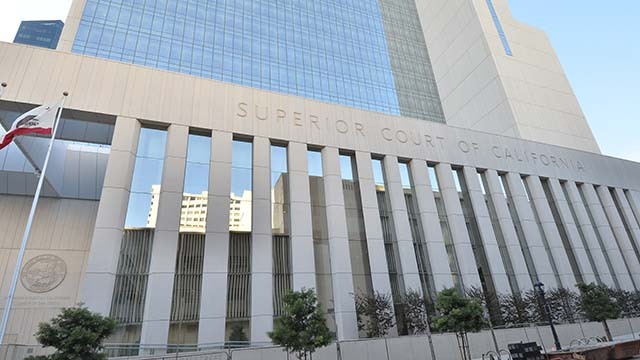 Judge Peter C. Deddeh will begin a two-year term as presiding judge of the San Diego Superior Court on Monday, court officials announced Wednesday. Deddeh, a 20-year veteran of the Superior Court, was elected to the top judicial leadership position by his fellow jurists in November. He succeeds current Presiding Judge Jeffrey Barton, who finishes his term on Dec. 31. Deddeh will be the first presiding judge to oversee operations in the new Central Courthouse, located at 1100 Union St., as he also leads the entire San Diego Superior Court system with its more than 150 judicial officers and 1,200 employees. He will be supported in his efforts by an Executive Committee of Superior Court judges, as well as the court’s executive officer and management team. Deddeh was appointed in 1998 and has served in a variety of leadership roles, including serving as the supervising judge in Central Criminal and East County. He has been instrumental in communicating court needs and budget constraints to the state Legislature. Prior to his appointment to the bench, Deddeh worked as a prosecutor for the San Diego County District Attorney’s Office. He holds a degree from the University of San Diego School of Law. San Diego judicial officers chose Judge Lorna Alksne to serve alongside Deddeh as assistant presiding judge.